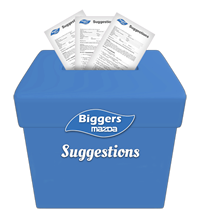 We love feedback and ideas from our customers on how we can continue to improve your experience at Biggers Mazda. Please take a moment and submit your comment below. What attracted you to shop at Biggers Mazda? Which other makes/models/dealers are you shopping? What can we do to improve your car-buying experience? Any additional comments and / or suggestions?